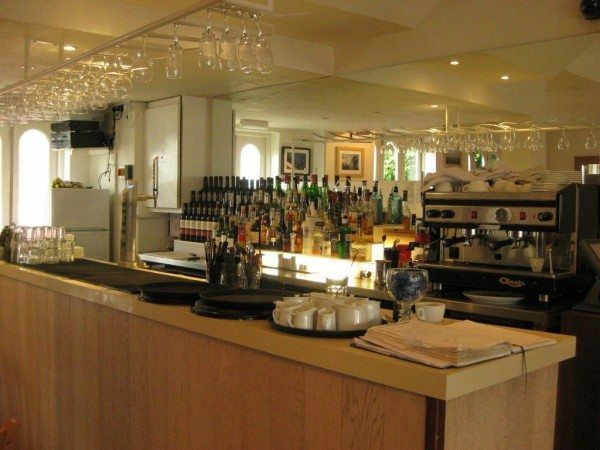 Situated in the middle of trendy Kemptown, less than ten minutes walk from the Old Steine, is this fabulous restaurant. 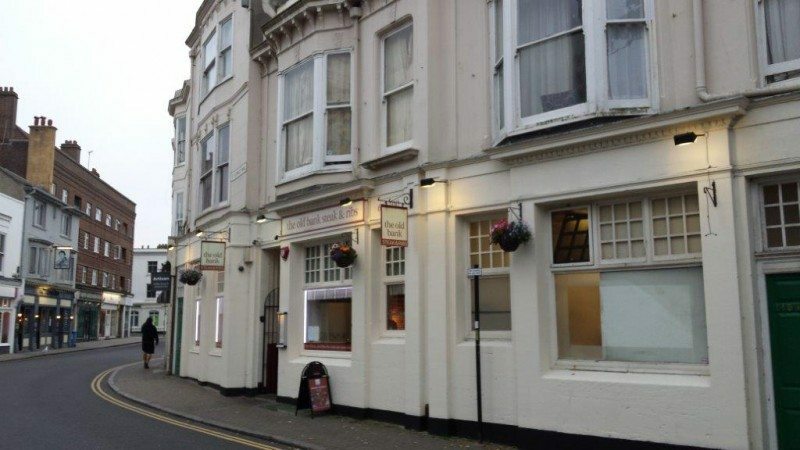 The Old Bank has been voted in the top ten Brighton restaurants in the annual Foodie Awards and deservedly so. We had been here before and absolutely loved it so we were excited to return. 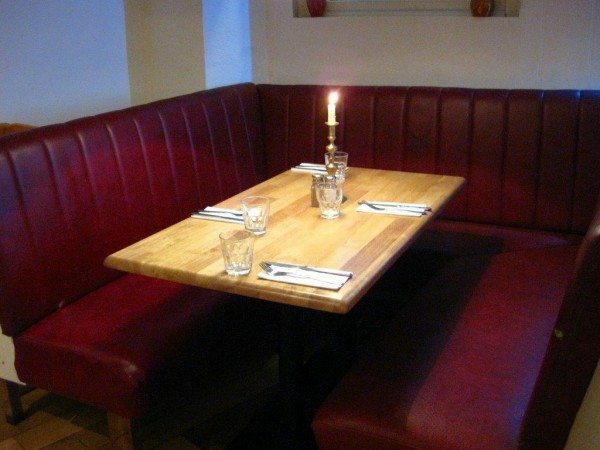 The restaurant has been recently made over and it is bright and cheery with lots of natural wood, primary colours and comfy American diner style seating. During the day it is exceptionally bright, thanks to the large windows and in the evening it is warmly lit with candles and retro lighting. 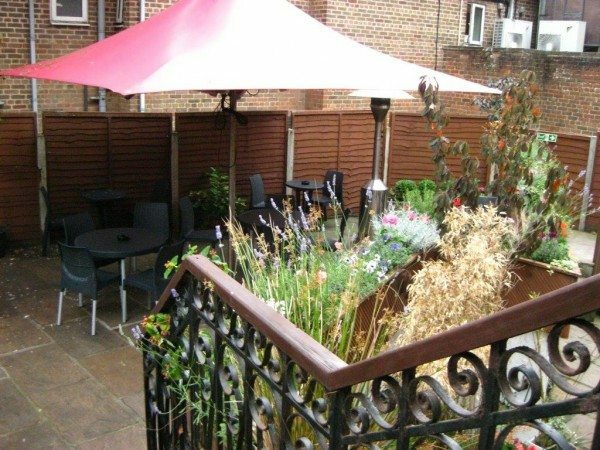 There is a lovely, colourful courtyard out the back, filled with plants and flowers, in which you can enjoy a little alfresco dining if the weather is clement. 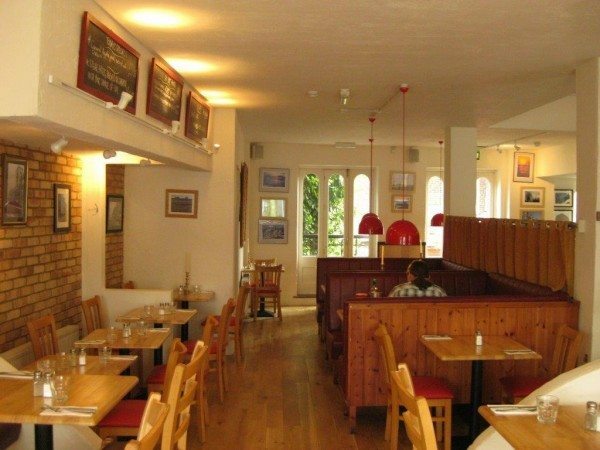 The service is excellent, informal and friendly, and if you are a meat-eater this brilliant restaurant is an absolute must. They run several great value promotional evenings. Tuesday is buy one combo meal (half rack of ribs and steak, garlic king prawns, chicken wings or roast chicken) and get the second half price. Wednesdays and Thursdays is buy one, get one half price on burgers and steaks respectively. And on Sunday you can get roast beef, lamb or chicken with all the trimmings for £11.00. On this occasion we were there to sample the Monday night all you can eat ribs and wings bonanza. I was dead chuffed as I had missed out on the ribs on our previous visit and neither of us had tried the wings. 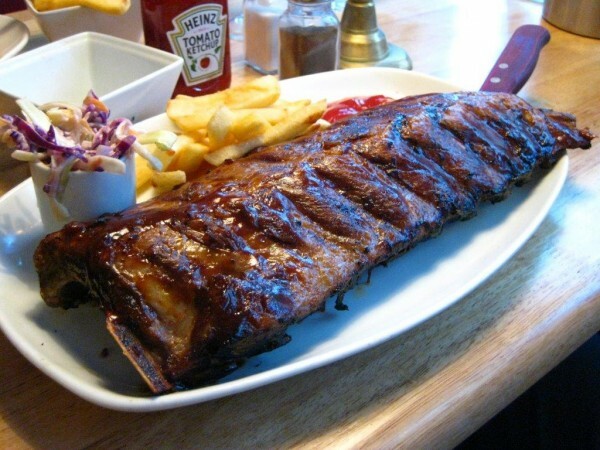 Their legendary pork baby back ribs are tenderised with steam before being marinated for 24 hours. They are then cooked over a charcoal grill and basted in The Old Bank’s signature sweet and sour barbecue sauce. We were properly hungry as we had fasted all day in anticipation of our evening feast, so we wasted no time ordering. Andrew decided to order the ribs and I went for wings. I had two choices, spicy or barbecue. I’m a bit of a spice fiend so naturally I chose spicy. We also chose a refreshing, fruity Sauvignon Blanc to drink, which went very well with the rich, meaty food we were about to be delivered. When the food arrived it smelled amazing! It was nice and hot and arrived on pristine white china plates. 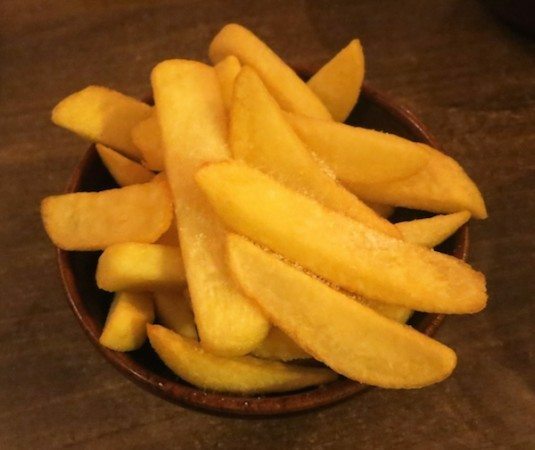 We got an individual dish of chips each, which were crisp and golden on the outside and fluffy in the middle. We also got little pots of coleslaw, which was creamy and crunchy. 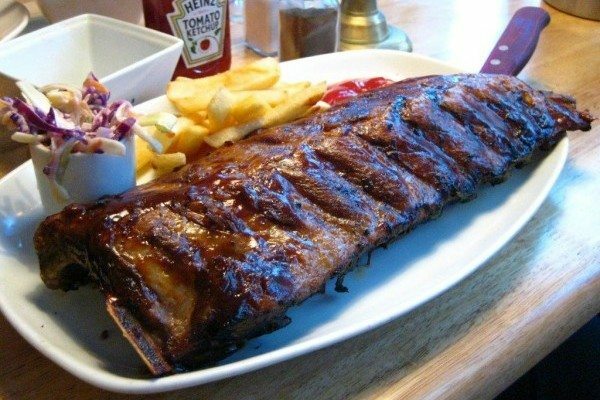 But this meal was all about the ribs and wings… Andrew’s rack of ribs looked spectacular, glossy, inviting and beautifully browned. The meat was tender, came away from the bone easily and was mouth wateringly delicious. The glaze was rich, sticky and tangy and impossibly more-ish. My spicy wings had a crispy golden coating with a zingy, salty, fiery sauce. Inside, the meat was lip-smackingly juicy. For your potentially endless refills you get half-sized portions and you don’t have to stick to your original choice so I finally got to have my very own half-rack of ribs, yum! 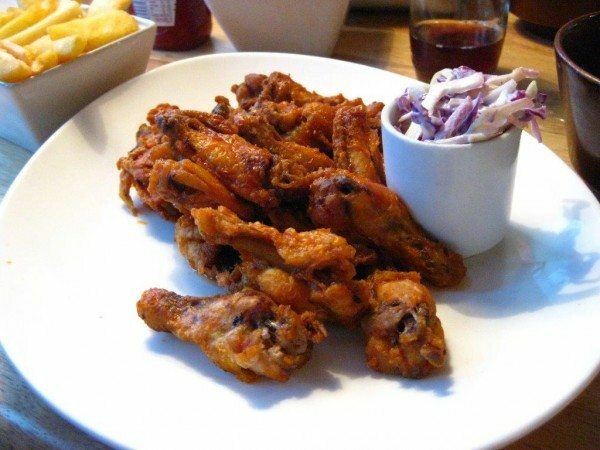 Andrew tried the barbecue wings, which were lovely and juicy and came in a rich, sticky, tangy barbecue sauce. We also chose to share an extra portion of chips, which was not included in the price of the promotion. By this time I was utterly defeated but Andrew valiantly managed to squeeze in one final half-rack of ribs before he was also beaten. Needless to say we did not have room for dessert.